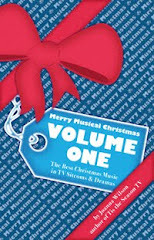 Sometimes I share about rare or forgotten Christmas TV programs. 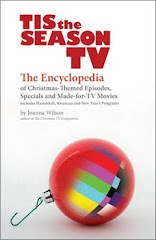 Sometimes I discuss the latest, new releases that arrive on television screens each November and December. 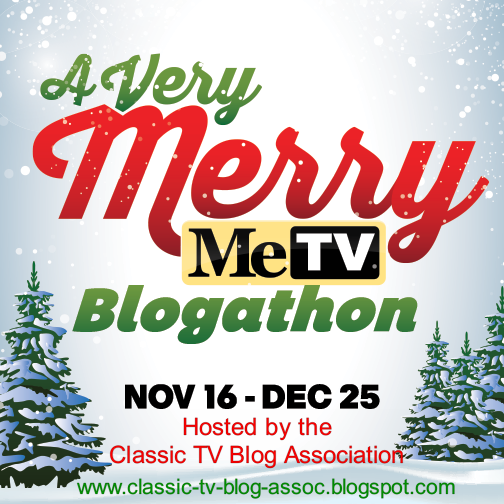 And, sometimes I write about classic Christmas episodes of our favorite TV series. Lately, I've been focusing on sharing the latter. 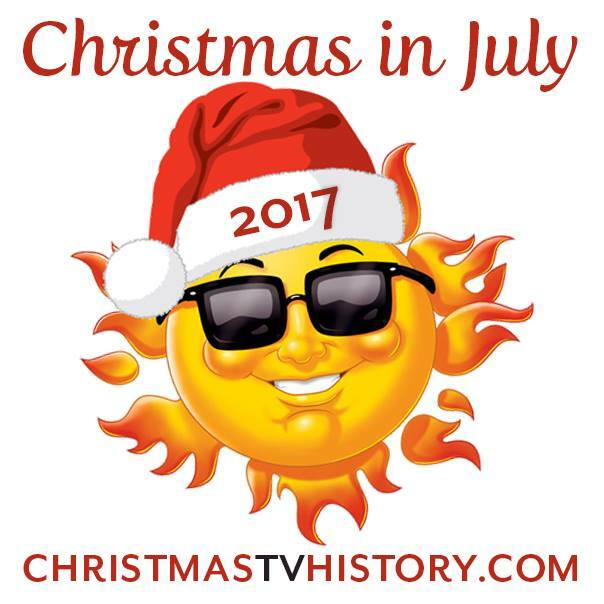 For many TV fans, it is a Christmas tradition to re-watch one or more classic holiday episodes each year to help inspire the Christmas spirit. 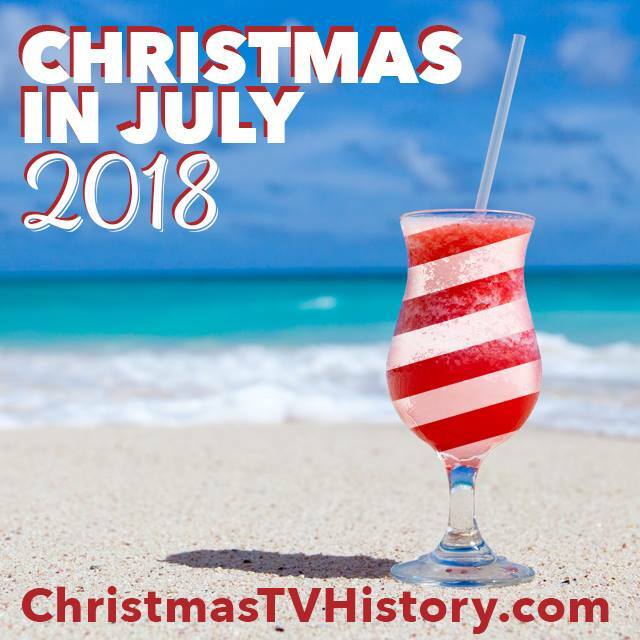 What about you--is there a holiday TV episode that you watch each year that instantly makes you feel like it's Christmas again? 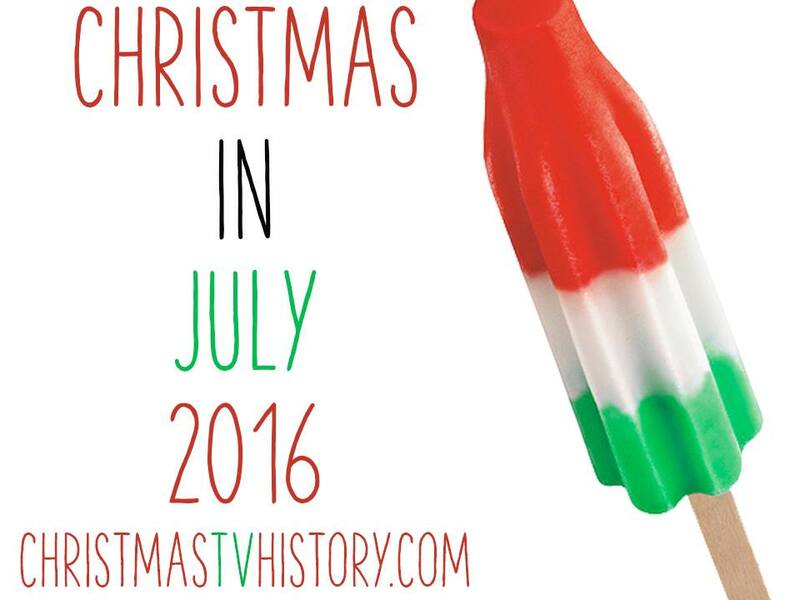 What classic Christmas TV episodes did you grow up watching and now look forward to re-watching each year? 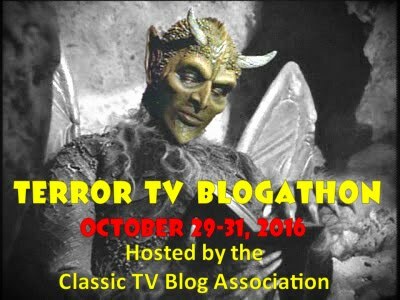 Is the 1971 episode "P.S. 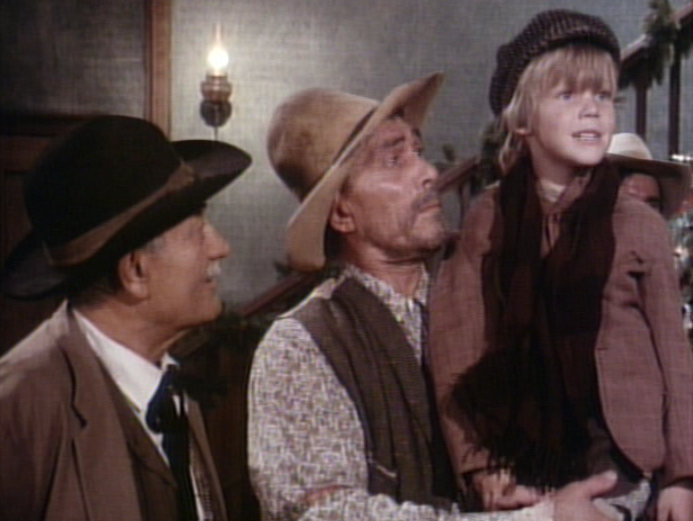 Murry Christmas" from the sixteenth season of the TV western Gunsmoke a favorite holiday story? Miss Grundy runs the orphanage with a rigid hand while Spangler has a soft spot for the care of the children. The only holiday celebration these seven orphans know is singing Christmas carols for the local governors' visit. 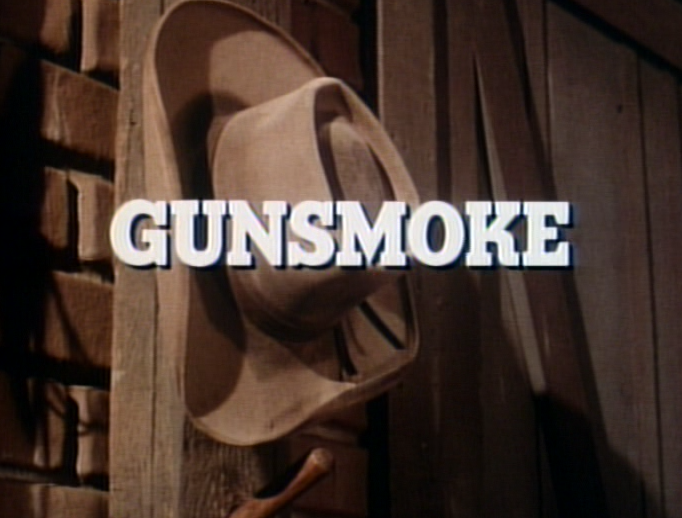 I know that the long-running, TV western Gunsmoke has an intensely loyal audience. 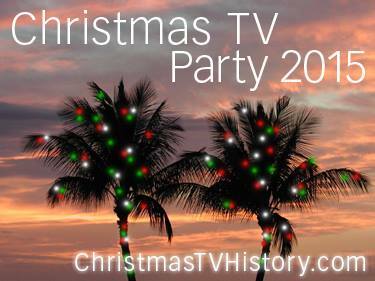 Even if you've never quite warmed to the charms of this series or to any other TV western, this Christmas episode stands above many others. 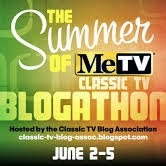 Let's review the plot. 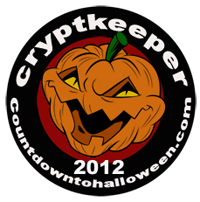 A man named Titus Spangler (played by the great character actor Jack Elam) works as a caretaker at a rundown orphanage in Kansas. 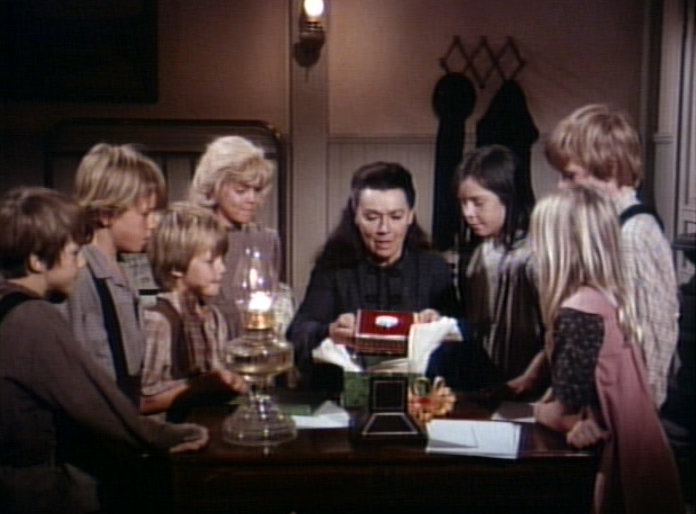 Spangler is fired from his duties and, after hearing the children complaining about not having a happy Christmas, Spangler decides to take the seven orphans with him when he leaves. Hopping a train, the runaway orphans and Spangler only make it as far as Dodge City. Spangler knows the tyrannical, hard-hearted orphanage director, Miss Emma Grundy (played by Jeanette Nolan) will come looking for them. Miss Kitty reads the telegram from Miss Grundy to Doc, Festus, Newly, and others in town. 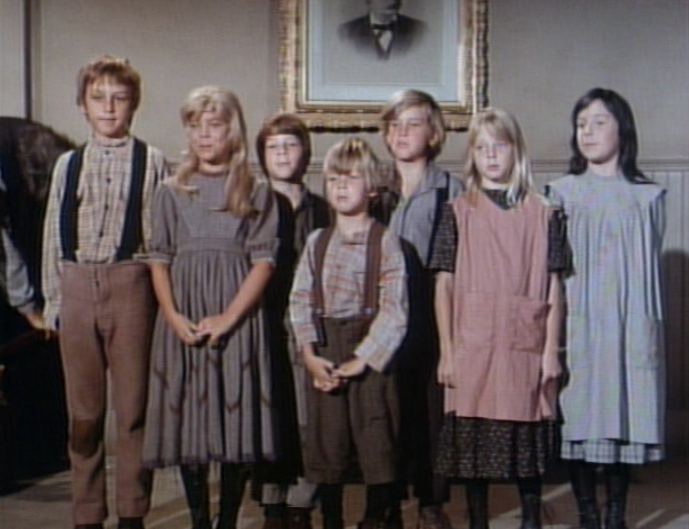 The cold weather, hunger, and a sick child forces Spangler and the orphans to seek help from others in Dodge City. 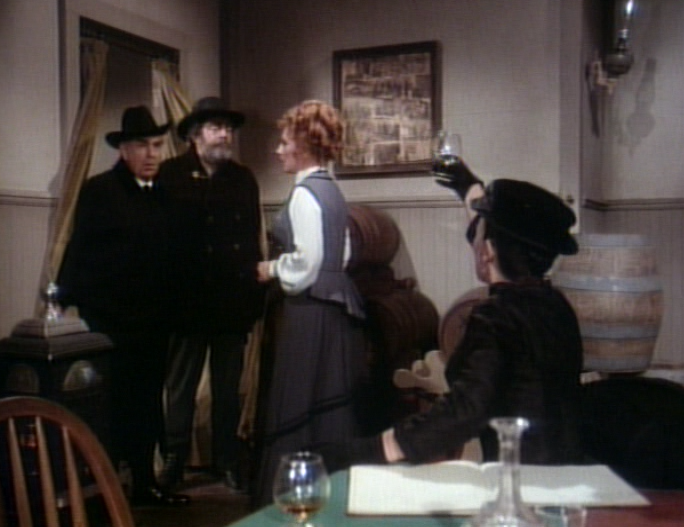 Miss Grundy has sent a telegram to Dodge City ahead of her arrival, and Spangler is arrested for kidnapping. 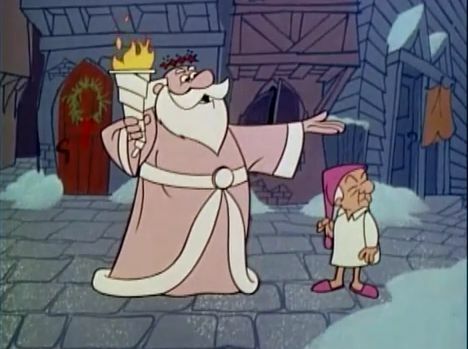 The crafty Spangler convinces the townsfolk that he's not such a bad guy after all--he explains that the children have never experienced a happy Christmas because Grundy is too stingy to offer the orphans a yuletide party, a decorated tree, or even gifts. In this light-hearted story, we see again and again how Spangler can easily extricate himself from any jail cell or means to keep him confined. Kitty immediately begins organizing the townsfolk into planning an elaborate Christmas party in the saloon for the seven children. When the orphanage director Miss Grundy arrives in town, she demands that plans for the party are cancelled! Not only does she want Spangler -re-arrested, but she forbids that the children be exposed to a Christmas party. Miss Grundy insists that the children's hopes and expectations should not be raised by giving them a Christmas party this year when she knows she can't afford to give them a party next year. But Matt Dillon disagrees. Marshal Dillon learns that Miss Grundy is the legal guardian of all seven children and has the right to control their lives but he tries to speak with her about doing what's right for the orphans. When Miss Grundy's mind can't be changed, Miss Kitty tries a little blackmail. 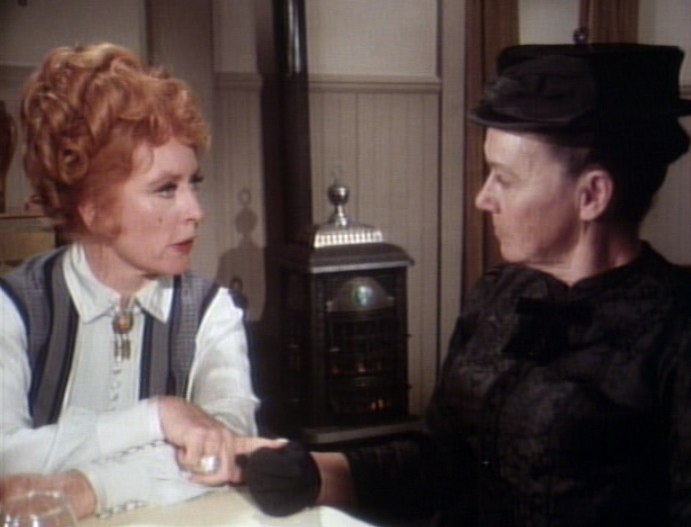 Kitty offers Emma Grundy some "medicinal" alcohol and arranges for the local judge to catch her drinking so she'll be shamed into loosening her purse-strings, or better yet, leaving her job. 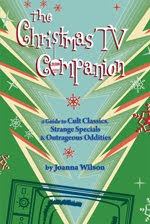 While the two women share over a glass of Napolean Brandy, Kitty discovers that Miss Grundy may not be the scrooge she's been assumed to be. It turns out that the local authorities have under-funded the orphanage that Miss Grundy operates. 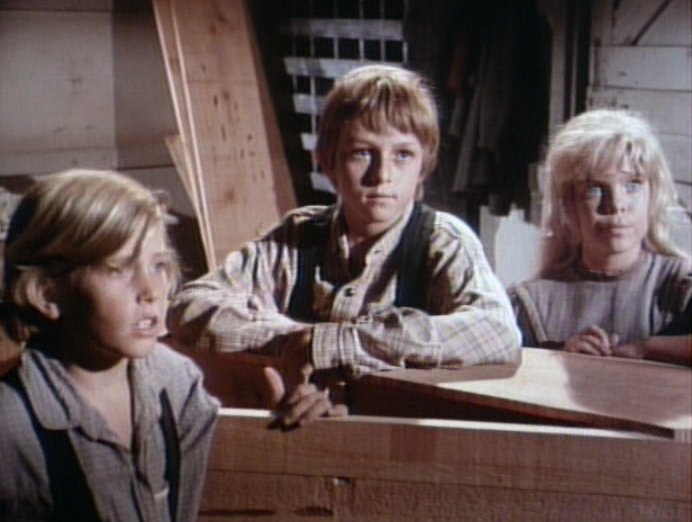 Not only are the children responsible for building the county's coffins--yipes!--but the little extra money given at Christmas time by the governors, is saved by Grundy to buy the children food so they can eat the rest of the year. What Spangler didn't explain is that he was fired for drunkenness. And, Miss Grundy may be the children's only hope since no one else is looking out for them. Miss Grundy is caught drinking brandy--an immoral act which may cost her her job. But it's too late! The local magistrate catches Miss Grundy drinking and the orphanage director resigns her position. 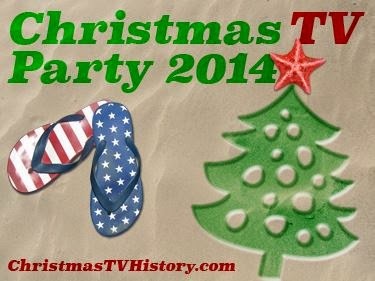 However, Kitty has a new agenda--she wants to help the children year round and not just with this Christmas party! The orphans overheard Miss Grundy talking about her own disappointing Christmas experience as a child, and they offer her a gift that warms her heart! The children agree that they won't attend the Christmas party unless Miss Grundy attends as well. 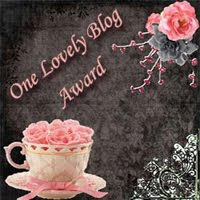 Of course, this story has a happy ending--would we expect anything less? Hold onto your hats--Elam plays Santa Claus at the children's Christmas party! 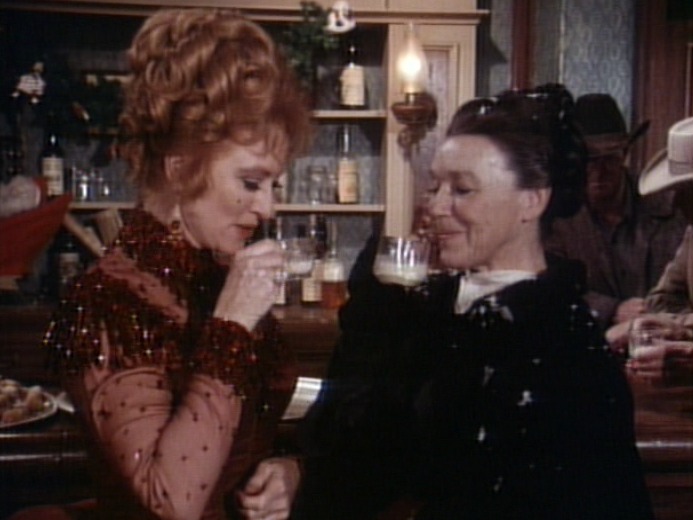 BFFs Kitty and Emma enjoy more brandy in their cups of eggnog at the Christmas party in the saloon. 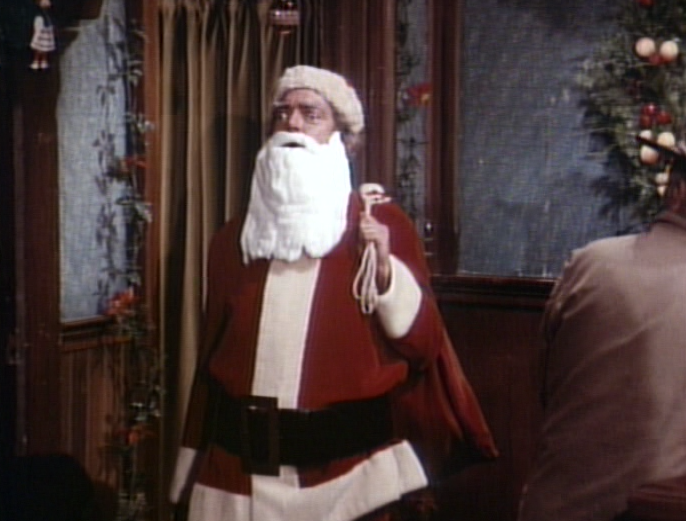 There are a couple of things that make this holiday episode outstanding. One is the amazing cast. 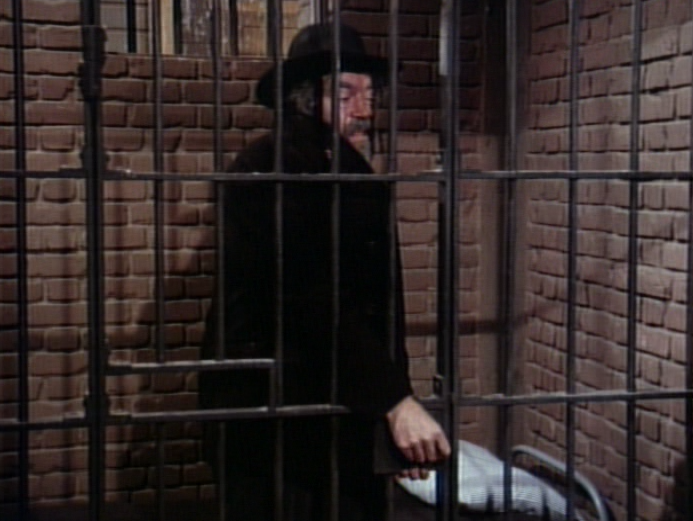 Okay--Jack Elam is, of course, a great caretaker for these kids. 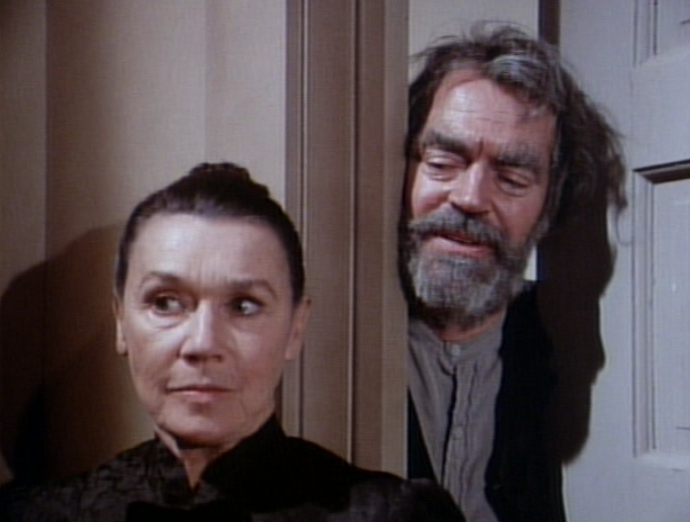 You recognize actress Jeanette Nolan--don't you? 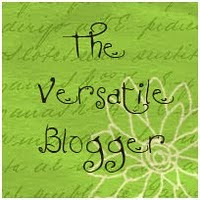 She's had a lengthy, successful career in film and television. 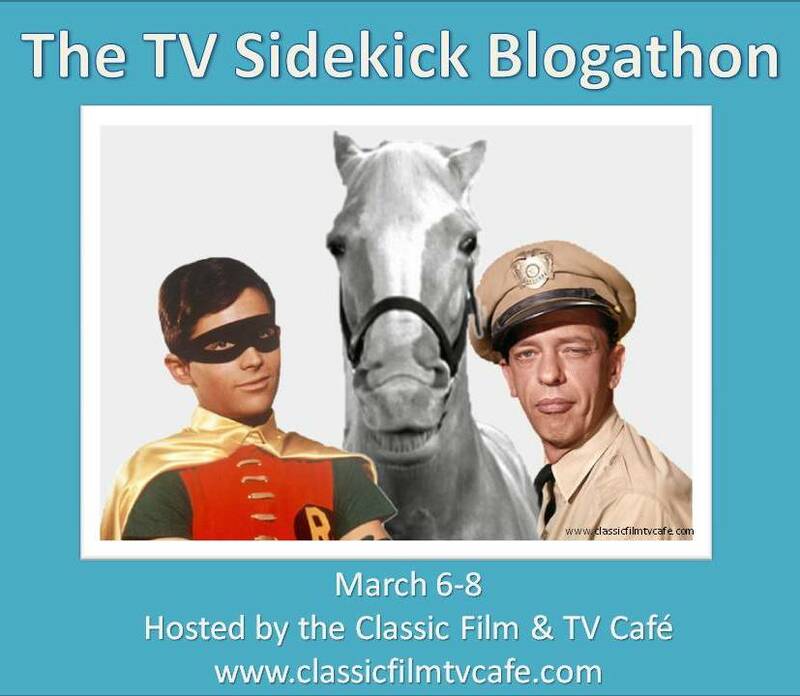 I immediately recognize her as Dirty Sally--the title role from the short-lived spin-off of Gunsmoke. 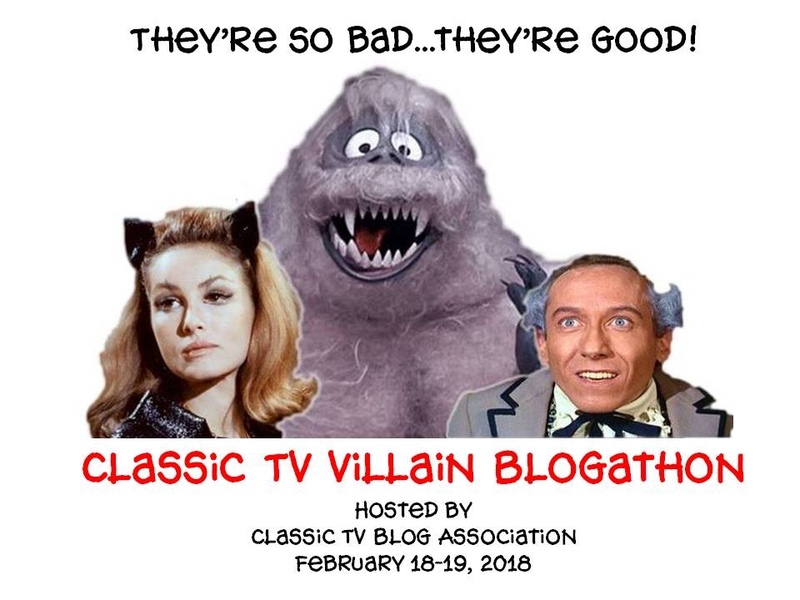 (My mother used to successfully get me to behave myself when I was younger, explaining that I couldn't watch Dirty Sally if I didn't do as she instructed--a fact which is now both embarrassing and weird/creepy). 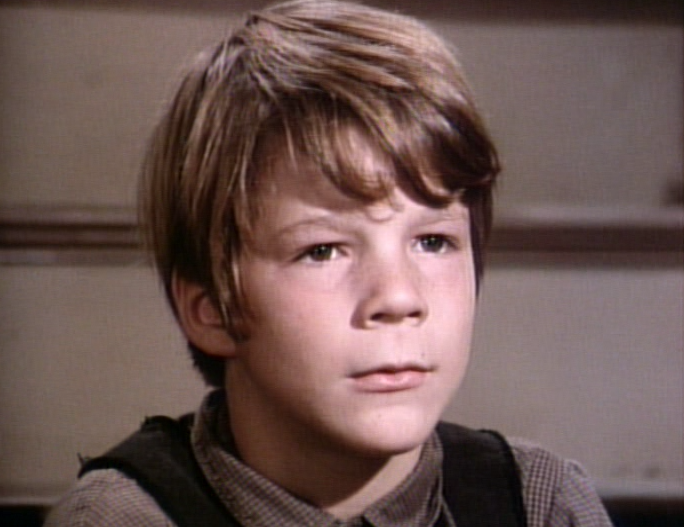 You'll also probably recognize most of the child actors who played the seven orphans as well. 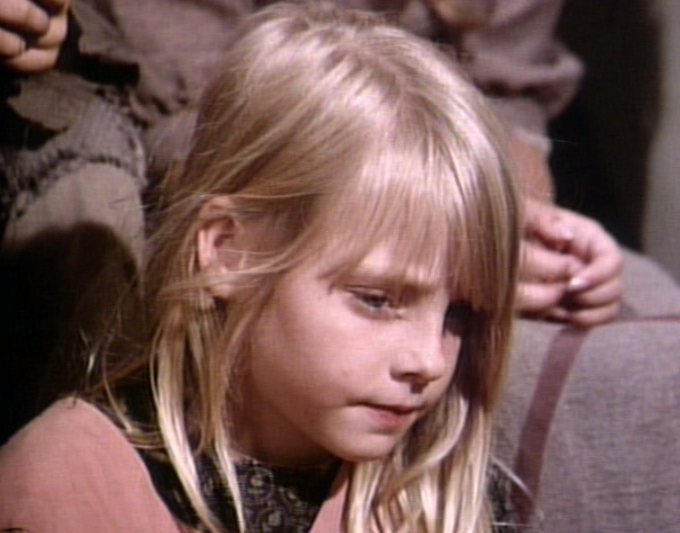 Patricia, the orphan with the cough, is played by actress/Oscar-winner Jodie Foster. 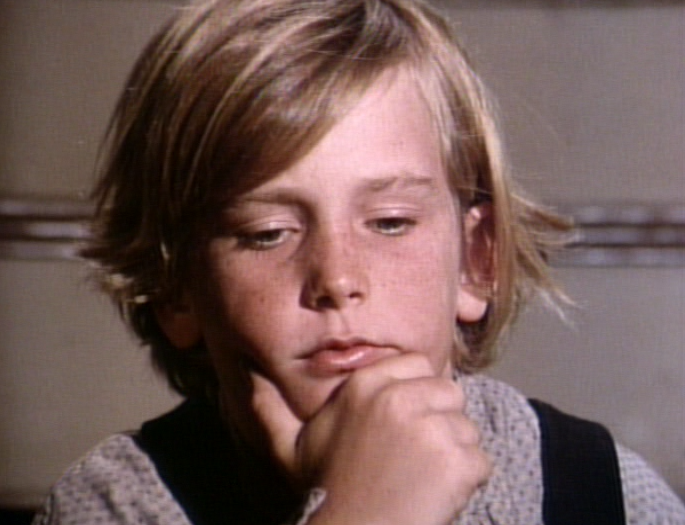 Tom is played by child actor Willie Aames--who also played Tommy on the series Eight is Enough. 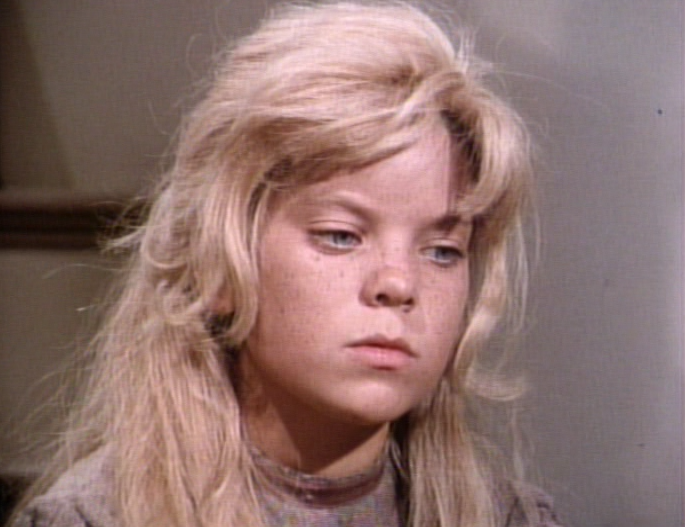 Under that crazy blonde wig, you may recognize Erin Moran here as the orphan Jenny. Moran also played Joanie Cunningham on the TV sitcoms Happy Days and Joanie Loves Chachi. Doc, Festus, and young Jake. 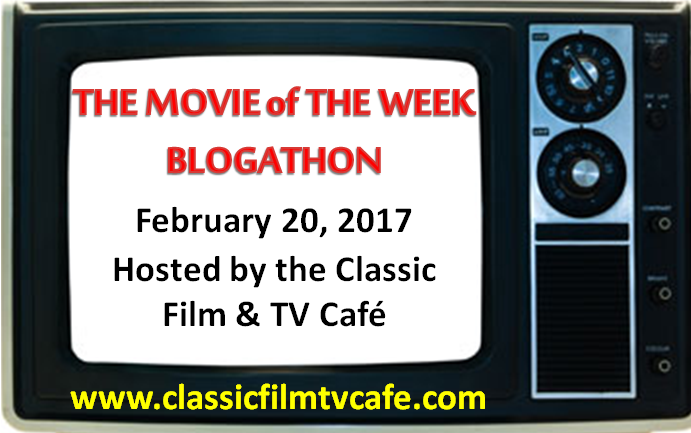 Jake is played by Todd Lookinland--the brother of child actor Mike Lookinland, who everybody knows played Bobby on The Brady Bunch. 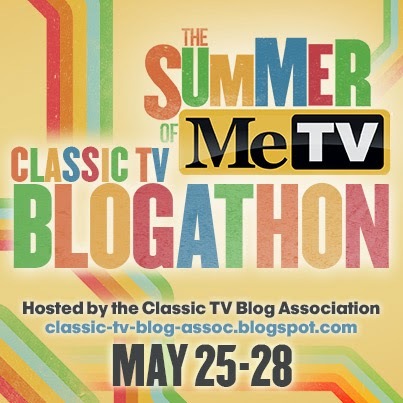 (Todd also appeared on The Brady Bunch--in the 1974 episode "Kelly's Kids" which was an attempt at a spin-off series which featured Ken Berry). Do you recognize actor Brian Morrison as Owen? He also played Phillip, Carol's son on the TV sitcom Maude. 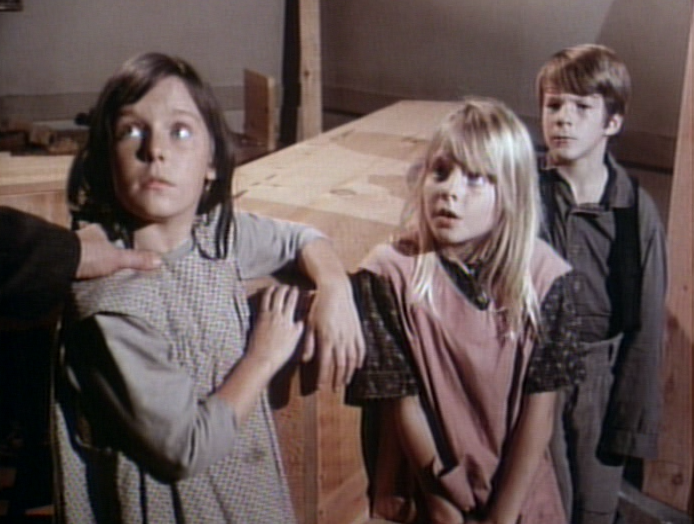 Center is child actor Josh Albee playing the orphan Michael--he too has appeared throughout film and TV in the 1970s. Left is actress Patti Cohoon--here she plays Mary. 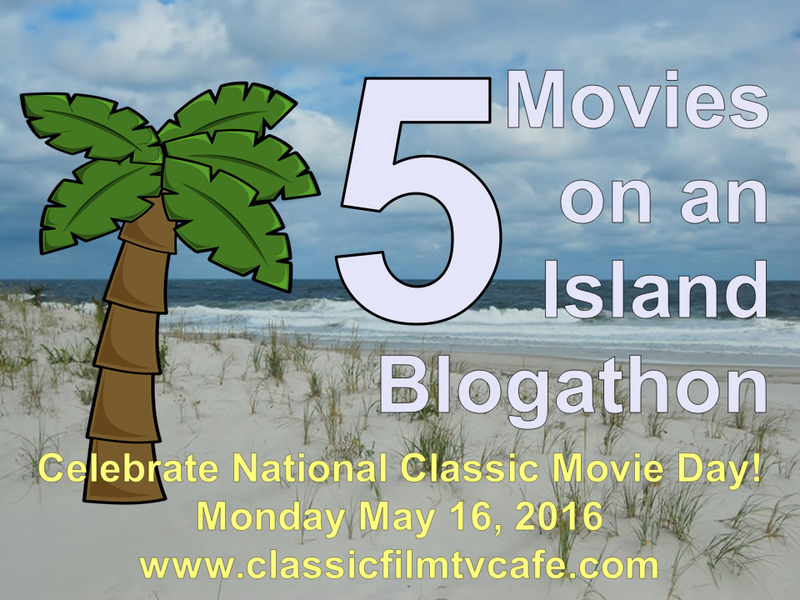 Cohoon also appeared in many memorable roles throughout the 1970s--my favorite role is as a blonde Gloria Hickey on The Partridge Family. 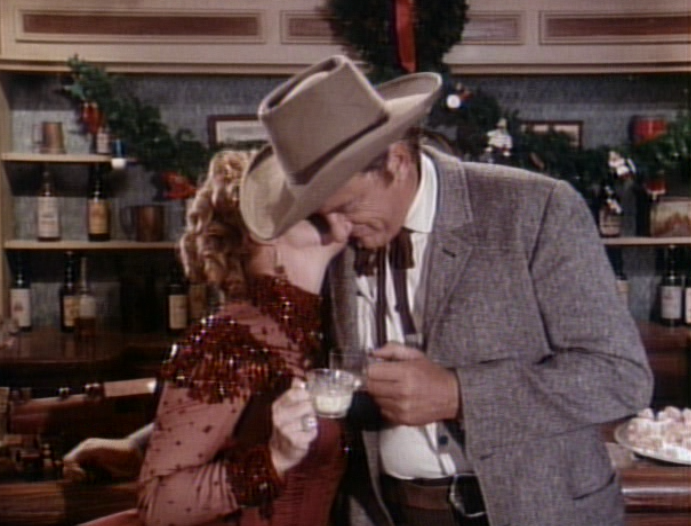 Another thing that makes this Christmas episode of Gunsmoke stand out is that Miss Kitty and Marshal Dillon share a kiss! 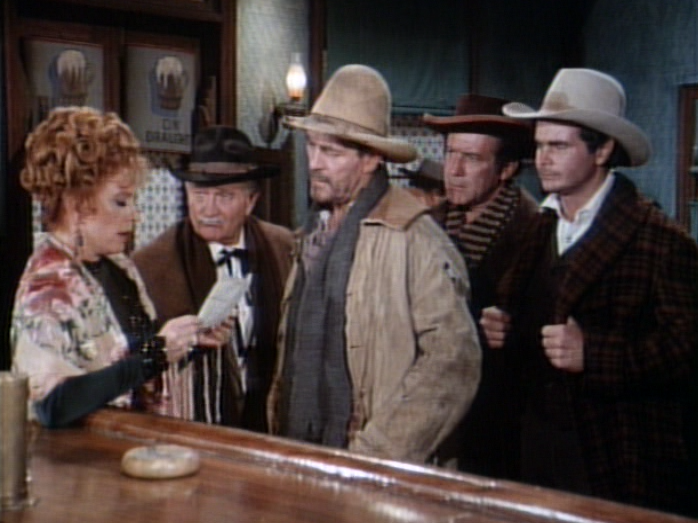 The last shot of this episode is Kitty offering her greeting, "Merry Christmas, Cowboy" as she reaches to give Matt a kiss on his cheek. 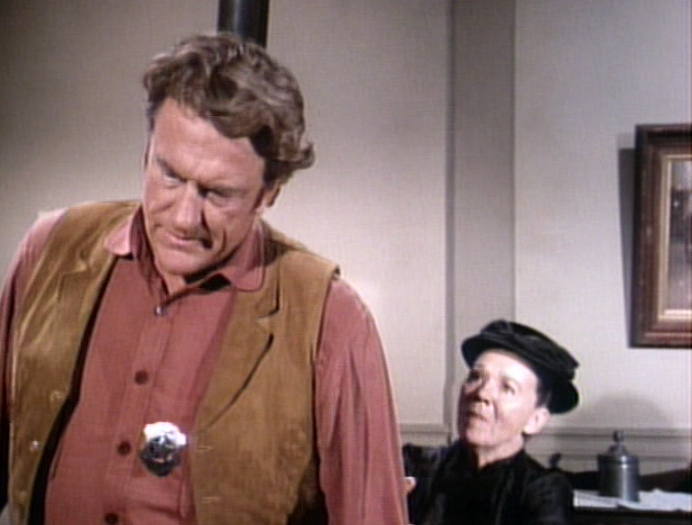 Actor James Arness, in an audio introduction to this episode in the 50th anniversary DVD set of Gunsmoke, explains that this moment is the first on-screen kiss shared by these two much-beloved characters. 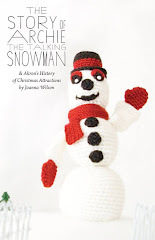 How Christmasy is that?